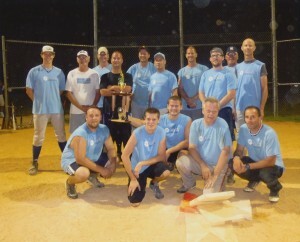 Congratulations to our Men’s softball team who finished in first place for the 2014 season. The annual softball tournament will be held on Saturday, July 26 at Woodlot Park on New Road in Monmouth Junction. The first game is scheduled for 3:00pm. If our team wins they will play again at 6:30pm. The championship game will be held at 8:30pm for the two leading teams. Come and cheer our team on and enjoy fellowship with friends. It is always a fun day! This entry was posted on Tuesday, July 22nd, 2014 at 9:51 am and is filed under Ministry Updates, Photo Galleries. You can follow any responses to this entry through the RSS 2.0 feed. You can leave a response, or trackback from your own site. « Register for Vacation Bible School Today!